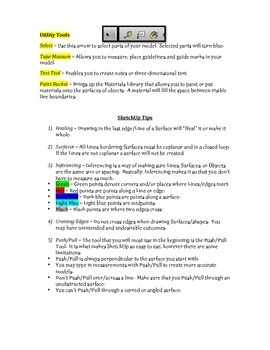 Handout notes on the various tools and some techniques used in Google SketchUp for 3D modeling. This is a cheat sheet I give to all of my students at the beginning of the term. Google SketchUp is a free program that is available for both Windows and Mac compatible machines. For the most basic of modeling you do not need a very powerful computer. 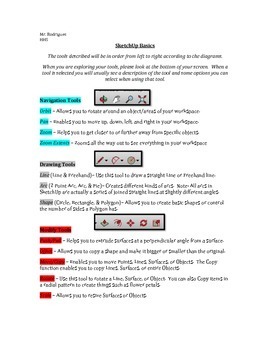 Please make sure to check SketchUp's website for computer requirements/recommendations before use.